Located at a height of 914mts above sea level, Nanaprayag is a holy place that is based at the merging point of Two holy rivers namely Alakhnanda and Nandakini River. 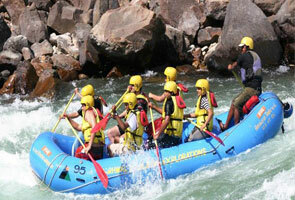 It is the one of the five major confluences of Alakhnanda River. Nand temple is a beautiful temple based here and is only 17kms away from the town of Chamoli. Joshimath is situated at a high elevation of 1,890mts above sea level and is one of the four “Maths” created by Adi Shankaracharya. Joshimath is the home to Shri Badrinath in the winter season and ideally connects to Auli through the highest cable car of Asia. If you are planning to visit to Joshimath, Kalpayriksha and Narsingh temple here are also worth exploring. Auli is the ideal place for skiing and performing paragliding in India and is located at a high elevation of 3,050mts above sea level. Auli, ensures celestial views and astounding sights to captivating snow laden Himalayan range. Also, Asia’s highest and longest cable car is situated in Auli connecting it with Joshimath. Auli has distinct views to South Asian winter sports games in 2010 and is connected to motorable roads. It is only 65kms away from Chamoli. One of the four dhams of Hindus in India, Badrinath is situated at an elevated height of 3,133mts above sea level that geographically falls under the Chamoli district of Uttarakhand state. Badrinath was primarily made by Adi Guru Shri Shankaracharya in the 9th century. The shrine is positioned on the right side of the Hallowed Alakhnanada River. Residing deity of Badrinath is Lord Vishnu. Each year more than millions of tourists visit this place. Main season to visit the sacred place is from May to October every month. The temple mainly remains closed during the winter season as this area receives heavy rainfall and is situated only 98kms away from Chamoli. Hemkund Sahib is a place located in the Chamoli district of the state of Uttarakhand. 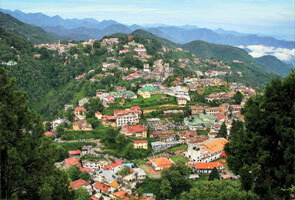 The town is positioned at a high altitude of 4,329mts above the sea level. The word “Hemkund” literally means “Lake of Snow” and the water of this lake remains as cold as snow round the year. 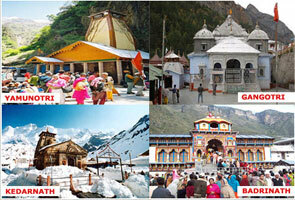 Hemkund is also known as the Gurudwara Shri Hemkund Sahib and is a major pilgrimage center for Sikh community. The pilgrimage spot is 6kms away from Ghangaria and is a star shaped Gurudwara that is formed by white marbles and concrete. It is situated along the shoreline of pristine Hemkund. The place offers several highlights as in magnificent waterfalls, heart captivating views to Himalayas, transparent lake water and the holy Hemkund Sahib Gurudwara. Trekking lovers ought to visit here as it has so much to offer you. The place experiences high temperature variations with rapid rise and fall. Chopta is known as Mini Switzerland and has number of tourists visiting it each year. Off lately, amount of sightseers visiting Chopta has amplified over the period of time and it has become a much famous adventure spot. Tungnath temple which is situated at great altitudinal height is only 3.5 kms away from Chopta. Round the year Chopta stays flourished with tourists coming from different corners of the world. It is a perfect natural spot to visit during winter season. Tungnath is the highest temple of Lord Shiva that is based at an elevation of 3,680 mts above sea level. The holiness of the place is thought to be a matchless as it is one of the Panch Kedar’s and Lord Shiva’s arm is worshipped here. 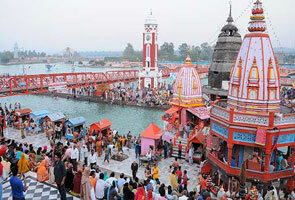 Large number of devotees arrives here each year and offers their prayers to almighty. The trekking done here to the temple starts from Chopta and can be easily reached by a 4km easy trek from Tungnath. Tourists have to climb to Tungnath that will lead to Chandrashila where panoramic views to gigantic Himalayas and beautiful peaks are easily visible. Spreading over a total area of 87.50sq kms, Valley of flowers is a National Park espousing the western Himalayas. To arrive at the National park one has to cover a short trek of 4kms from Ghangaria. The place is completely covered with burgeoning flowers from June to October and with layers of snow in the moths of winters. The place was renowned as a National Park in the year 1982 and currently it is a UNESCO heritage site. The National Park is a major magnetism to botanists, adventure lovers and nature lovers from diverse corners of the world and is home to over 500 species of wild flowers.